Biking while on vacation is a fantastic and safe way to explore a new destination and include some great outdoor activity. It allows you to set your own pace, stop for photo opportunities and experience the cultural landscape in a personal and up classe way. Relying on a referenced and qualified bike expert to guide you through panoramic and low-traffic routes also means using their expertise in safety. When planning your own itinerary, there are still several measures you can take, especially when traveling with kids to keep it safe. Below you will find a few safety tips for biking while on vacation, with either a guide or on your own. 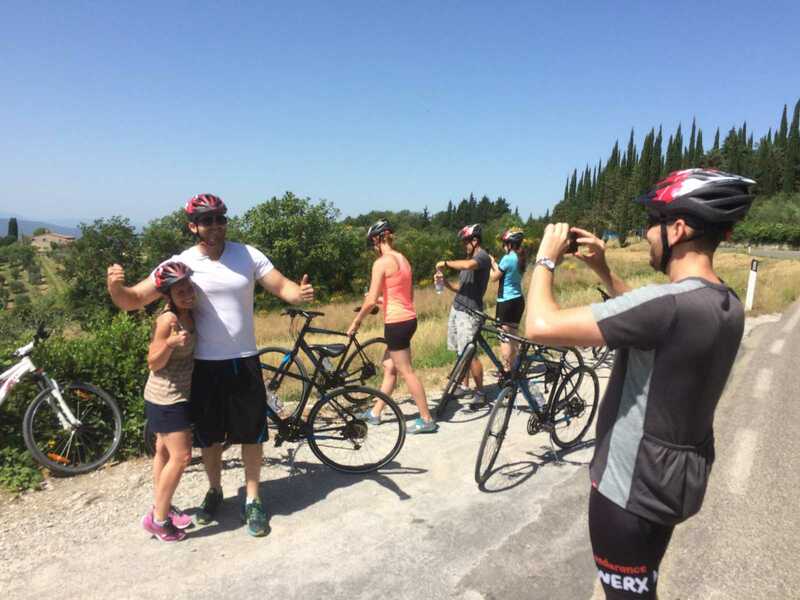 From expert cyclers to the occasional biker, reserving your space on a private or semi-private bike tour has several advantages. It is your vacation, and therefore a moment of relaxation, discovery and quality time with family and friends. This is the perfect reason to take advantage of an expert and letting them deal with the details.They know the lay of the land, secret sites to visit and the best shops, vineyards and special landmarks. A qualified bike tour also prepares safety features that you can’t always bring from home. 1) Using local guides and bike experts means that this is their home! Your guides should know the rules of the road for the country you are traveling…that’s their job. 2) A support van is essential for groups with varying skill levels. It follows the group and is ready to pick-up or assist the bikers in difficulty. 1) Helmets are fundamental! There aren’t a lot of requirements by law for safety equipment so normally you won’t find gloves, knee or elbow pads available. If these items are important to you then you should bring them along. 2) Quality bikes need to be well maintained. 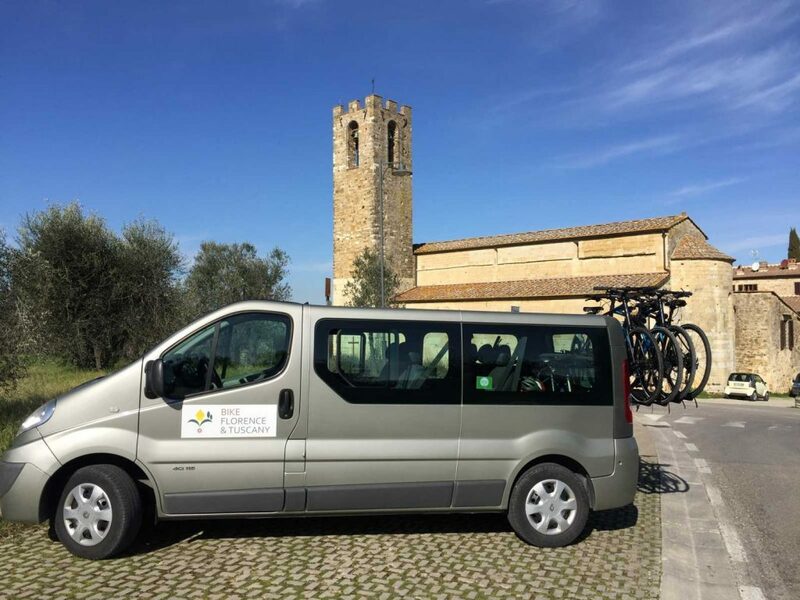 Be sure your guide dedicates time at the beginning of the tour to checking the height of the bike, the skill of the participants and that everyone in the group understand the gears and brakes. 1) Your guides know their riders need fuel! A selection of energy snacks and fresh water should be abundant. If you have dietary restrictions (celiac, vegetarian, diabetes) let the agency know so they can be prepared. 2) They know their territory. This means that they know where to find the low-traffic routes. Plus they are ready to ensure safe crossings on major roads. Touring another country by bike while on vacation means you need to come prepared. 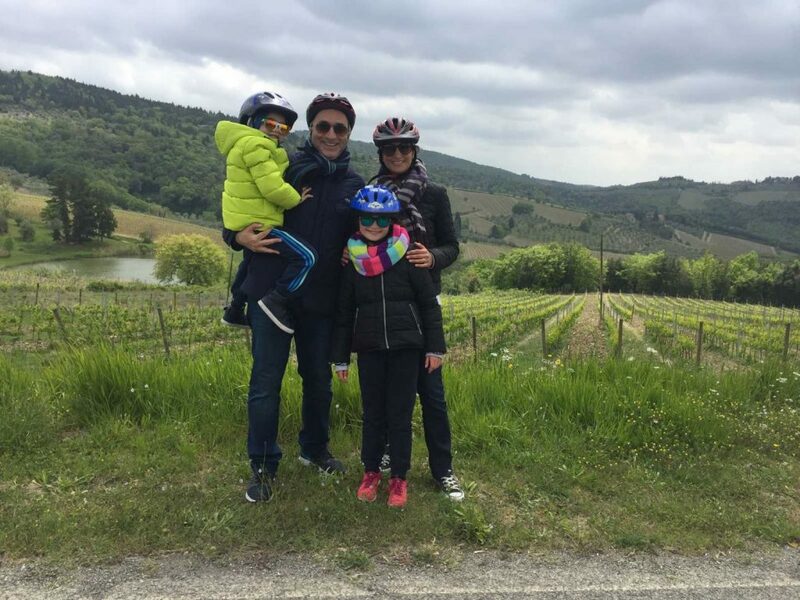 Even with a bike tour that is attentive to details, there are still some elements that only you can provide, especially when biking with kids. 1) Hat & sunglasses: It is easier to navigate the road when you can see it! Either a hat or sunglasses will save you from squinting your way through the bike ride. 2) Suntan lotion: While on a bike you will be exposed to the elements, so protect your skin with a healthy layer of sunscreen. Think ahead and apply it before you start. 3) Windbreaker or raincoat: Many times a start time in the morning saves you from sweltering temps in the afternoon, but the day can still start out a bit chilly especially when you are in the countryside. 2) Suitable shoes: something that protects your feet. Your feet need to be able to grip the pedals so no heels, sandals or flipflops. 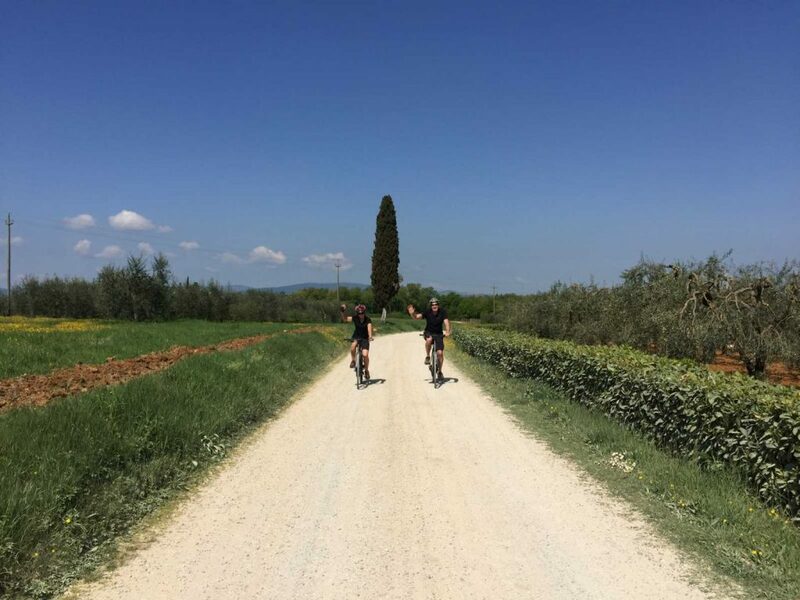 3) Change of clothes: After biking the hills of Tuscany, the vineyards of Chianti, the romantic city of Seville in Spain or the valleys of Provence you just might work up a sweat. If your itinerary includes a stop at a small town afterwards, everyone will probably be happy you have a change of clothes! 1) ID – Don’t leave home without a photo identity card or its equivalent and when possible, you should carry any health insurance ID cards. 2) Medication – Be sure to carry any necessary meds with you (for example inhalers, & epipens). Remember if you are in a tour with a support van, then you will always have it close by. Don’t forget to let the guides know if you have allergies, or possible physical impediments. 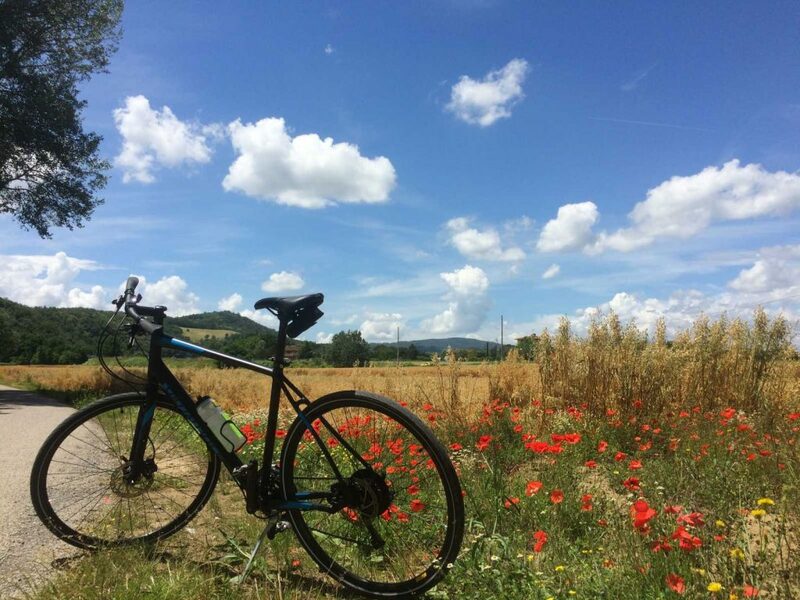 Biking while in vacation gives you both a new perspective of the landscape and a unique way to interact with the locals. 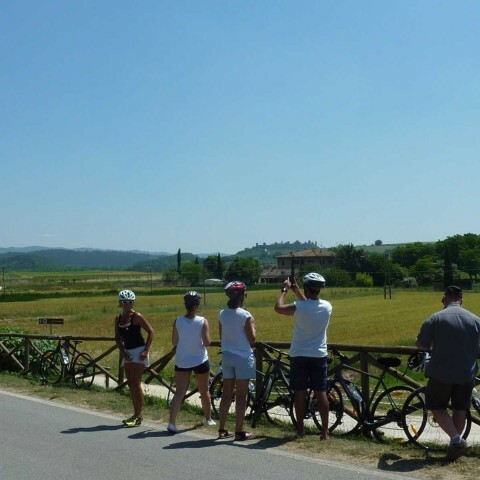 Once you have established an itinerary or an area you want to explore, you can decide to do it yourself or rely on a bike tour agency. In either case, biking safety should be a priority to ensure an adventure that you will remember with a smile! Ask for references when selecting a bike guide, and compare their services to the suggestions outlined. Remember when packing your bags, to control checklist above of items that you will need to have with you. Keeping it safe, with a few easy steps, can transform your biking experience into lasting & happy memories!